Owned by the proprietors of W. Curtis Draper, the oldest tobacconist in Washington D.C., the lounge opened on January 14, 2013. An adjacent retail store, stocking a selection of cigars from Nicaragua, Honduras and the Dominican Republic, opened on December 26, 2013. 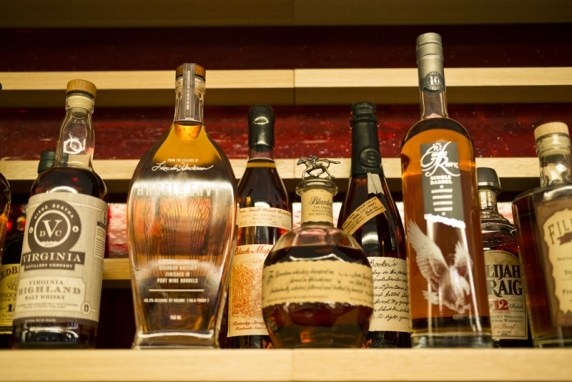 If your looking to smokegood cigars, throw back a few distilled spirits or eat some of celebrity chef Bryan Voltaggio’s one-of-a-kind dishes…three indulgences in one place—the Civil Cigar Lounge in the Chevy Chase Pavilion. The lounge is right next to Range, the upscale food menagerie with nine open kitchens that Voltaggio opened last month. The Range chefs will be offering a totally different menu of small plates at the cigar lounge, designed to complement the whiskies, Scotches, wine, cocktails and premium and small batch spirits served there. 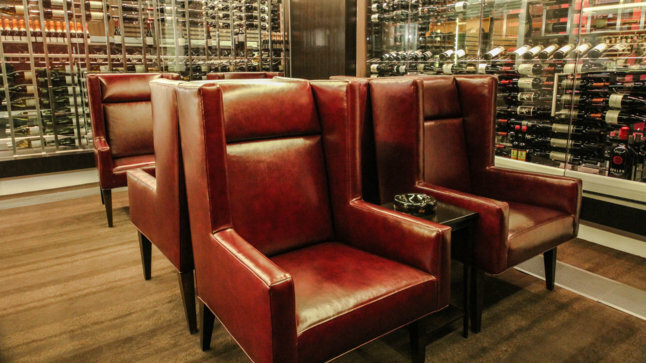 With two private rooms, 125 personalized cedar cigar lockers, a long bar with 22 chairs, and smoking areas with burgundy leather chairs and plush banquettes, the place is a stunner. Even the restrooms are unique, with antique-mirrored ceilings and wallpaper depicting images of smoke. Upon entry, you’ll notice the 500 sq ft retail shop with “world-class” smoking accessories and a glass-encased selection of cigars that range from mild body, to medium body, to Linda Tripp (um, heavy). They’ve carefully curated a whole bunch of cigars from Nicaragua, Honduras, and the Dominican Republic, meaning places that have the best smokes also have serious Presidente issues. … lounge area with big ‘ole leather wingback club chairs and a state-of-the-art ventilation system that filters and replaces 100% of the air every two minutes, so it’s gone in like two Nicholas Cage heist films. Pair that puff piece w/ one of their eight signature dranks, like this Smoked Manhattan w/ Knob Creek, Vermouth, a maraschino cherry, and a glass rinsed with smoked bourbon. Or, if cigar puffing makes you hungry, just grab a small plate like this yellow fin tuna tartare with avocado and a soy-lime vinaigrette that’s no joke, mostly because it’s actually a salad dressing. Co-Founder of SGDG Magazine. Computer programmer by trade, Tobacconist who absolutely loves to smokegood cigars and drinkgood spirits.